Apple goes bigger than ever with the iPhone XS Max—but it doesn't come cheap. The Apple iPhone XS Max is one of the best big phones on the market today, if you're willing to pay for it. When Apple introduced the first iPhone X in 2017, it represented the new gold standard of iPhone experiences. But it wasn’t the largest device—it actually felt smaller than its predecessor, the iPhone 8 Plus—and fans of large phones were left wanting. The new iPhone XS Max, on the other hand, fully commits to the big screen experience. 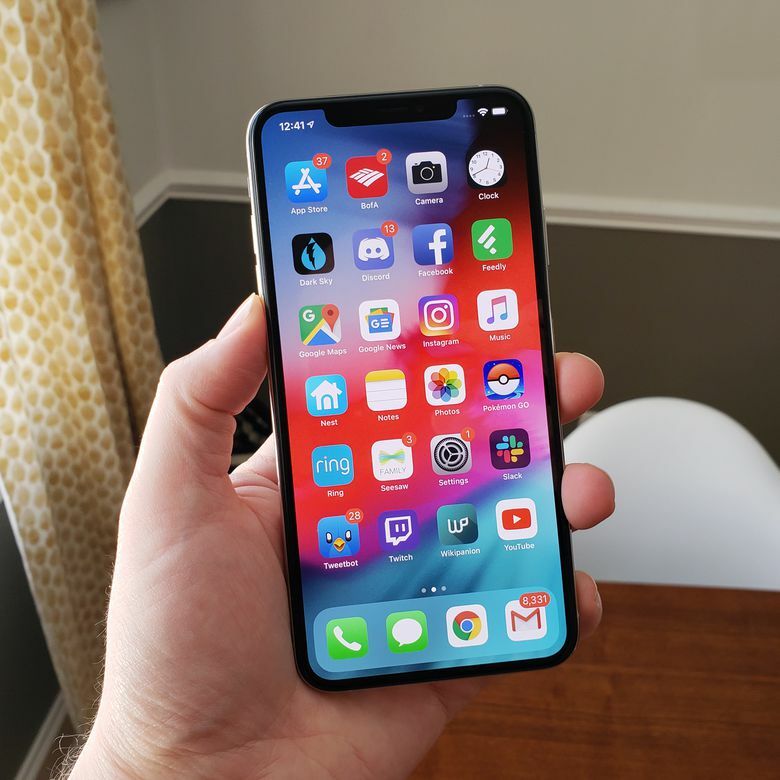 Like the standard iPhone XS, the XS Max improves on the sleek and innovative design of the iPhone X by packing in more power and top-of-the-line features, bringing it all together behind a huge 6.5-inch OLED display. The phone is physically about the same size as the iPhone 8 Plus, but it has a significantly larger and more immersive screen, plus all of the modern flash of Apple's latest smartphone aesthetic. If there’s one thing that’s been consistent about the last few generations of iPhones, it’s price: these devices are always expensive. The iPhone XS Max, as the brand’s biggest and newest smartphone, may leave you with a serious case of sticker shock. So is this the super-sized smartphone to buy, or is the iPhone XS Max just downright excessive? We tested one so see if it lives up to the price tag. Shot with iPhone XS Max. The iPhone XS Max doesn't make any obvious changes to the iPhone X/XS design, aside from the expanded width and height. It's a beautifully minimal handset, with glass on both sides and a stainless steel frame. It exudes the kind of premium allure that we've come to expect from Apple devices over the years. And, as the “Max” name might imply, it’s a very large phone: at 6.2 inches tall and 3.05 inches wide (and just 0.3 inches thick), we consistently struggled to reach a large chunk of the top of the screen using just one hand. The XS Max also feels a bit heavy at 7.34 ounces—nearly half a pound—though the weight is well-distributed. (The smaller, lighter iPhone XS is a better fit for single-hand usage.) And because of the glass and stainless steel materials, the XS Max can feel a bit slippery in the hand. You might not feel inclined to cover up such an attractive and clearly high-end phone, but a case can go a long way towards improving your grip on the phone and give you some extra protection on that mostly-glass design. The iPhone XS Max feels well-constructed and the glass is very durable and scratch-resistant, although the stainless steel quickly accumulates small scuffs and scrapes from everyday use. (Again, a case can help with this). The handset also has IP68 dust and water resistance and is rated to survive being submerged in up to two meters of water for a maximum of 30 minutes. Sadly, there's no way to add external storage to the iPhone XS Max via a microSD card. You can buy the phone in configurations with 64GB, 256GB, or 512GB internal storage, with a $150 price bump for each tier of additional space. It's available in Space Grey, Silver, and a new Gold finish. The iPhone XS Max has a streamlined and easy-to-understand setup process. Once your SIM card is installed, you can power the phone on and potentially get through setup in a matter of minutes if you're not downloading and installing a large backup from a previous phone. After connecting to a Wi-Fi network or your cellular provider, you can choose whether or not to enable location services before setting up Face ID. Hold up the front-facing camera and Apple's facial security system creates a 3D scan of your face. It then uses that image to verify your identity when you want to unlock your phone in the future. The phone will also prompt you to create a passcode to secure the device. From there, you'll decide whether to set it up as a new phone using a new or existing Apple ID, restore from a backup via iCloud or your computer, or transfer data from an Android phone. The iPhone XS Max is the biggest and best iPhone to date, but all of that gloss and power comes at a steep price. As of this writing, the iPhone XS Max has the fastest processor on the smartphone market: Apple’s A12 Bionic chip. This is the same chip used in the iPhone XS and iPhone XR smartphones. In Geekbench benchmark testing, the A12 bionic chip beats all current Android competition in both single-core and multicore testing. Granted, those phones run a different operating system—the iPhone XS Max runs iOS 12—but in everyday use, the iPhone XS Max feels incredibly swift and responsive. Getting around the interface is a breeze and you'll rarely encounter any lag along the way. And with 4GB RAM, it's also very capable at multitasking, letting you rapidly switch between apps. High-performance games look fantastic on the iPhone XS Max and run fluidly. Racing game “Asphalt 9: Legends” doesn't buckle under the weight of its glossy graphics and incredible speed, while online shooter “PUBG Mobile” maintains a solid frame rate and detail even when fighting amidst 99 rivals on an enormous battleground. With the processing power on this thing, you can play the most high-demand mobile games without missing a beat. Check out our guide to iOS 12. Using the Verizon network about 10 miles north of downtown Chicago, we experienced solid and steady LTE speeds both indoors and out. Download speeds reached a high of 38Mbps and typically hovered in the 30-35Mbps range. Upload speeds were much less consistent, landing around 2-3Mbps in several tests but then reaching 20Mbps in another. Wi-Fi performance was very strong in our testing, and the iPhone XS Max supports both 2.4Ghz and 5Ghz routers. The iPhone XS Max has a large 6.5-inch Super Retina OLED display at 2688 x 1242 resolution, which crams in 458 pixels per inch. It's an incredibly clear screen, offering plenty of detail without unsightly fuzz or jagged edges. And because it uses OLED technology, the panel is also vivid and colorful, with strong contrast and deep black levels. Of course, the iPhone XS Max retains Apple's distinctive notch design, with a large cutout at the top of the screen to accommodate the front-facing camera and sensors. We got used to it very quickly and didn't find it to be a distraction. If anything, the lack of a significant bezel around the screen only adds to the immersive display. The stereo speakers of the iPhone XS Max produce very strong and very loud sound—although the quality starts to suffer at the upper end of that scale. In the 50-75% volume range, you can fill a quiet room with music when you don't have speakers handy, and play clear, crisp audio from movies and TV shows. At the highest volume settings, music starts to sound constrained by the tiny speakers, but overall the phone does an admirable job. Unfortunately, if you're planning to use headphones, you'll either need a Bluetooth wireless device (like Apple's AirPods), headphones with a Lightning connector (like the earbuds included with the phone), or a dongle adapter for a standard 3.5mm jack. That's because the iPhone XS Max doesn't have a dedicated headphone port. Apple has also stopped bundling the adapter dongle with new iPhones, so you’ll have to pay an extra $10 to buy it separately. Call quality proved to be strong on both ends of conversations, whether in a quiet room or in a noisy, crowded one. The iPhone XS Max has one of the most impressive camera setups on the market today, with a pair of back cameras that capture brilliant snapshots and dazzling video. They also include a few compelling software perks. On the back, you'll find a 12-megapixel wide-angle lens at f/1.8 aperture and another 12-megapixel secondary telephoto lens at a narrower f/2.2 aperture. The secondary lens provides a 2x optical zoom feature that gets in close without losing detail. Both lenses have optical image stabilization to steady your shots, plus they utilize Apple's new Smart HDR feature to automatically snap and merge together several different exposures for a more nuanced and true-to-life look in the final photo. In good lighting, the iPhone XS Max produces reliably strong and clear snapshots. The back cameras focus rapidly and deliver crisp detail with accurate coloring. Low-light shots show a lot more noise, as is common for smartphone cameras. The Google Pixel 3 and Samsung Galaxy S9 get better photo results in low light, but the iPhone XS Max still performs solidly. The iPhone XS Max has one of the most impressive camera setups on the market today, with a pair of back cameras that capture brilliant snapshots and dazzling video. The dual-camera Portrait mode, which uses depth data to blur the backdrops of photos, works better than ever on the XS phones, with crisp differentiation between your subject and the background. And now, you can even alter the level of background blur at any time after the fact using a simple slider bar. It's a very neat trick. When it comes to video recording, the iPhone XS Max is as good as any other phone out there. It shoots 4K video up to 60 frames per second, with extended dynamic range up to 30fps. The results are smooth, detailed, and consistently impressive. It's no wonder that directors are shooting feature films with iPhones—Apple's handsets just keep getting better in this department. The iPhone XS Max's seven-megapixel f/2.2 wide-angle front-facing camera does a great job of capturing crisp selfies, including stellar Portrait mode shots. But there's quite a bit more to the front-facing camera setup. The TrueDepth camera system uses an infrared camera and flood illuminator to create a 3D depth map of your face, enabling advanced security features and some entertaining perks. Since this phone doesn’t have a fingerprint reader, Face ID is the iPhone XS Max's security system, and it works like a charm the vast majority of the time. It'll quickly recognize your face and unlock the phone, even when wearing sunglasses or a hat. And the TrueDepth system also enables goofy features like Animoji and Memoji, which match emoji or a cartoon avatar of your face with your facial movements and mannerisms. Want to take a look at some other options? Check out our guide to the iPhone X. As is typical for iPhones, the iPhone XS Max has good but not exceptional battery life. The 3,174 mAh battery is rated by Apple for up to 13 hours of internet usage or 15 hours of video playback. In everyday mixed-usage testing, we found that we ended most days with about 10-20% left in the charge. Average users will be able to get through most days without a top-up, but anyone streaming a lot of media or playing high-performance games may find themselves running out of juice by the end of the afternoon. Luckily, the iPhone XS Max support fast charging with an 18W or higher adapter (sold separately) and fast wireless charging up to 7.5W. Other large handsets, including the Samsung Galaxy Note 9 and Huawei P20 Pro, have a 4,000mAh pack inside, which is more likely to last the whole day (and sometimes even into a second). The iPhone XS Max can't quite stack up to those handsets in this category, but it gets the job done most of the time. Interested in reading more reviews? Take a look at our tips to extend your iPhone battery life. The iPhone XS Max ships with Apple's iOS 12 operating system onboard, and it's an impressively smooth and user-friendly experience. While rival Android systems provide more customization options, iOS 12 is streamlined and swift, letting you zip through apps and settings with ease and typically find what you're looking for without much fuss. Since current iPhones no longer have a physical home button, the XS Max uses an array of gesture controls to navigate around the phone. Swipe up from the bottom of the screen to go home, swipe left or right on that little bottom bar to switch between open apps, and swipe up and hold for a moment to scroll through all open apps. If you're used to the old way of getting around an iPhone, this may take some getting used to. But the gesture-based approach quickly becomes second nature, and we've found to it to be an even faster and more efficient way of getting around a smartphone. It's no wonder that many Android phones have introduced similar gestures of late. Apple's phones also have the built-in FaceTime video chat app, as well as iMessages, which lets you send free text and media messages with other iOS users. Other exclusive iOS features include the Apple Pay digital payment system and Siri virtual assistant, which can answer queries, pull up apps, and compose messages. The iOS App Store has a wealth of apps and games available to download, both free and paid. While it shares many apps with Android's Play Store, the App Store often gets high-profile releases before Android. It also has a lot of exclusive releases that never make it to rival mobile operating systems. Need some more help finding what you're looking for? Read through our guide to picking the right iPhone. The Apple iPhone XS Max is currently the most expensive smartphone on the market, starting at $1099 and ranging up to $1449 depending on storage capacity. That's an incredible amount to pay for a phone, especially considering that many Android phones with comparable features and specifications cost hundreds of dollars less. However, this kind of pricing is typical for Apple: you'll pay more for an iPhone, but get a very polished and premium smartphone experience. And in this case, the huge size of the phone makes the price tag higher than ever. If you're willing to pay for the largest and best-possible iPhone experience right now, this is it. However, the iPhone XR, which has a smaller 6.1-inch screen and trims down some of the specifications, is much more affordable at $749. When compared with Samsung's latest extra-large phone, the Galaxy Note 9, there are several similarities but also a few key differences. Both are beautiful, sleek handsets with enormous screens—and the Note 9's 6.4-inch Super AMOLED panel is a bit higher-resolution than the iPhone's. Samsung’s offering also has better battery life, expandable storage, and a headphone jack. And, if you like the stylus functionality, the S Pen that comes with the Note 9 is a niche but appealing feature that the iPhone can't match. It’s also priced at $999, a full $100 less than the iPhone XS Max. On the other hand, you get more power with the iPhone XS Max, and iOS 12 offers a smoother everyday navigational experience. The App Store is also better equipped, and the difference in screen resolution is more or less negligible. Perhaps the greatest deciding factor has to do with the devices you already own—if you’re deep in the Apple ecosystem of products and already know you love the iPhone experience, the XS Max offers the most premium version to date. In both cases, these phones are super powerful and can handle any games, apps, or media thrown at them. They’re also very expensive. If you don't need a stylus and you're not a die-hard iOS aficionado, then you might consider other large Android phones that can save a bit more cash. Beautiful and powerful, but extravagantly priced. ﻿The iPhone XS Max is the biggest and best iPhone to date, but all of that gloss and power comes at a steep price. The $1099 base price is the most Apple has ever charged for one of its phones, and it really is an extravagant amount—one that puts it out of reach for many prospective buyers. We highly recommend it if you can handle the price, but otherwise you might consider the trimmed down iPhone XR for $749 or one of many top Android phones that offer the same kind of big screen without breaking the $1,000 mark. Product Dimensions 3.05 x 6.2 x 0.3 in.